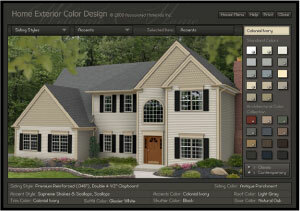 With our innovative, interactive Home Exterior Color Design program you can explore all the design possibilities for your remodeling or new construction project. Siding Home Exterior Color Design features our extensive line of siding products, exterior accents, trim and shutters - not to mention a wide array of classic and contemporary color options for the ideal design canvas. You can create the look that is a realization of your colorful visions. Then print your unique design as a blueprint for your project. 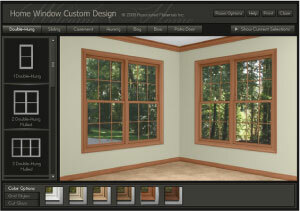 Our Home Window Custom Design program provides the interactive techniques for you to be the architect of your own unique project. Choose from a wide variety of window products and configurations, room options, color options, and even grid and cut glass styles. Transform an ordinary room into one you've always envisioned, then print your custom plan for your remodeling or new construction project. 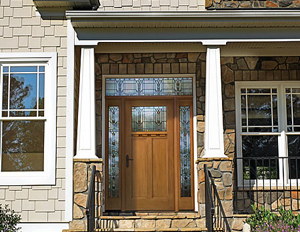 Since pioneering the fiberglass door industry in 1983, Therma-Tru has redefined the industry withhigh style, high-performance products. That tradition of innovation and superior engineering in design continues today. Learn how we continue to set the standard in door innovation and technologyand about the many advantages that come with Therma-Tru entry door systems. Please enter the number 20733 in the box provided below.